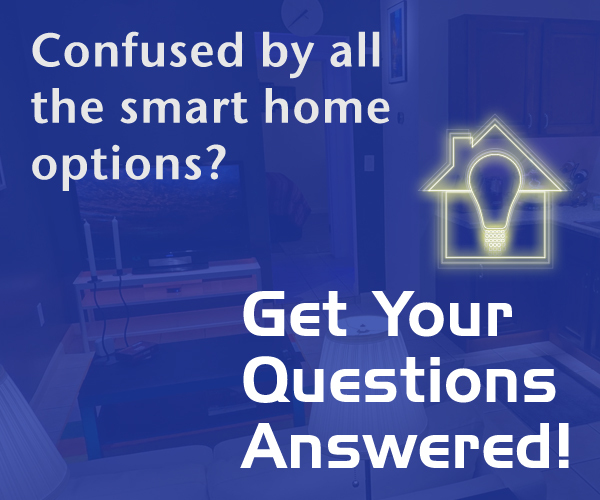 Jul 23 Is the smart home market in a lull? Ring launches an alarm system. Apple introduces Siri Shortcuts. Google says you can have a “Continued Conversation” with your smart speaker. Amazon launches a voice-enabled A/V controller and streamer. Philips launches outdoor Hue lights. All of these products are nice improvements, but where’s the true innovation? I know that we’re in the “summer lull” of tech product announcements and launches, but as both a smart home consumer and as both an influencer and so-called “smart home expert”…I’ve started to get bored with the industry. And I think that many consumers are starting to wonder when they get to have “all the nice things” they’ve heard about from the industry for years. Vivint launched their auto-adapting Sky AI system 18 months ago at CES 2017, and I heard from a viewer who recently got fed up with his Vivint Sky system and just got rid of it. Perhaps Vivint hasn’t been able to pack Sky with the thunder and power to truly create a thoughtful smart home, automatically? I try my best to answer them positively, but many times I have to answer that “it may not be possible, or might not be possible for a long, long time.” Once again, I liken the current smart home industry to what the short-range data landscape would have looked like in the late 90s / early 2000s if there had been five or ten different Bluetooth-like systems. Perhaps your car wouldn’t have worked with your phone? Or your headset wouldn’t have worked with your laptop? What a mess! The problem is competition. There, I said it. Everyone has to keep making new products to stay in business. Everyone has to try to innovate, but basically has to make stuff to “keep up with the other guys” and sometimes release something new to try to dazzle its customers and fans. Oh, and some companies just decide to randomly invent new standards, and then wind up with (mostly) just their products supporting them. Nest, anyone? But where’s the “amazing magical device that will solve everything” ??? One of my guesses is that it could have been the Revolv hub, the product with more smart home radios than you could shake a stick at. Nest bought it, then basically shut down the company, and then bricked all the devices. And then didn’t introduce anything that utilized Revolv’s unite-the-smart-home technology. Good job, Nest! Someone, please create a “magical and amazing device” that has practically every smart home radio possible. Yes, that includes the much-beloved-but-no-longer-new-and-shiny Insteon technology. We need a device that’s easy to use and setup by the average consumer, but yet powerful enough to satisfy fairly demanding smart home enthusiasts. Something like the combination of a SmartThings and Wink Hub, with a less convulted and messy developer platform. And aside from devices that must use the Cloud for communication, please communicate with devices locally and process requests and automations locally. I want to be able to tell consumers who ask me what to buy, “Do you have that new Houdini Hub? Then sure, just go buy whichever shiny smart home gadget that you like that has great reviews and it will work with it!” Oh, and this new smart hub should, of course, work with Alexa and Google Assistant, but it should also be able to integrate with Siri - maybe through those new Shortcuts. Maybe it doesn’t need to work with HomeKit. But the “Houdini Hub” needs to have AI capabilities. Yes, you’ll have to trust it, but it will have the power of cloud computing combined with the privacy and security of Apple. It will be able to identify the various devices in your home and ask you some initial basic questions about your life and routine at home. Then, it would learn based on your activities. Oh, wait…am I describing Sky? Oops, sorry Vivint! Perhaps this Houdini Hub would actually have the power of Google’s AI platform, but it would somehow be private to the user and not shared with all of Google. Oh, and you’ll probably have to pay a monthly fee for all of this AI and whiz-bang-easy-setup. Sorry, it’s probably going to be required. The industry eventually will run out of steam trying to sell new smart locks and lights to consumers who are already happy with them. And at the rate we’re going, smart home market saturation is not that far off. This article is starting to sound a bit like a piece that I wrote last year about the smart home being pretty dumb. Not much has really changed since I wrote it, in fact. Of course, as I recently talked about in my Smart Home Getting Started series, different people also have different definitions of what a smart home means to them. To some, it’s super-fancy with all the light-up keypads, helpful automations, voice control and it seems like it's right out of The Lifestyles of the Rich and Famous. To others, it’s a smart lock, a couple of smart lights and an Echo Dot...and they probably tend to think the smart home is "amazing", because it's new to them. But still, we need universal solutions that are compatible with everything else. Amazon and Google have convinced the masses that you just need to “buy these things with our logos on them and you’re good to go!” Except the harsh reality that most of those devices are really just connected devices, and take commands from Google and Amazon and don’t necessarily do much else. Take iDevices, they make some sleek and beautiful devices, but they only work with the major voice platforms. They don’t even work with SmartThings and Wink…but why not? Who knows? It’s just a software update away to expand the platforms that iDevices products work with. Most of the smart home startups that were founded in the past 5-7 years have now been acquired by big brands. The industry continues to contract a bit as certain companies just can’t compete in the market. Dare I say, but until we eliminate some of the competition, we may not see a new company and “magical product” rise up to unify and unite the rest of the industry behind it. Trust me, if such a product were to take off, I’d certainly recommend it. A big problem with smart home devices these days are Wi-Fi and Bluetooth-based products. True IoT standards for those types of products and connections are still being worked out or implemented. What we’re left with currently is nothing short of a disaster. This is why it’s easier for a SmartThings developer to write a device handler for an unsupported Z-Wave device than a Wi-Fi device. At least Z-Wave and Zigbee have standards that their products follow, with vocabularies and structures that developers can understand because those products must follow those standards or they’re generally “not allowed in the club”. Oh yes, I could go on and on and on. And some of you might say to me at this point, ”Joe, you’re just rambling now.” And you’d probably be right. Sure, it is actually exciting to have all of these “smart” products these days. I can do a lot more, a lot easier these days with my own smart home than I could even just five years ago. But what I do, through a crazy amalgamation of devices, software and services, is practically impossible for the “average Joe” out there. The minute they get frustrated with smart home devices, they tend to just give up on them. This even happens with more experienced tech people. Trust me, I get everyone’s emails. We need new excitement in the smart home world, true standards, and a willingness of companies to work with each other and stop creating standalone “islands of products”. Amazon, Google, Samsung and Apple…I’m certainly looking at all four of you. Somebody, please wow me this fall with something truly inspring and amazing. I’m getting pretty bored.